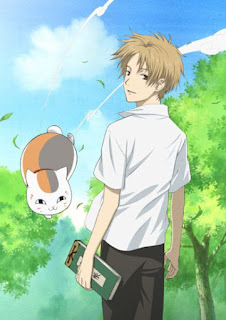 Natsume's Book of Friends (Natsume Yuujinchou in romanized Japanese) by artist and author Yuki Midorikawa is my all-time favorite manga and anime series. 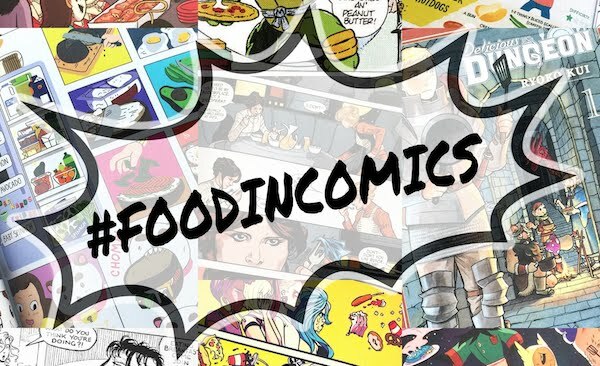 I've been reading, watching, and collecting it for years so I thought it was high time I showed my love for it here on the blog! The way I describe the story in a nutshell is "slice-of-life with yokai", yokai being the word in Japan for supernatural beings/creatures (to put it very simply). 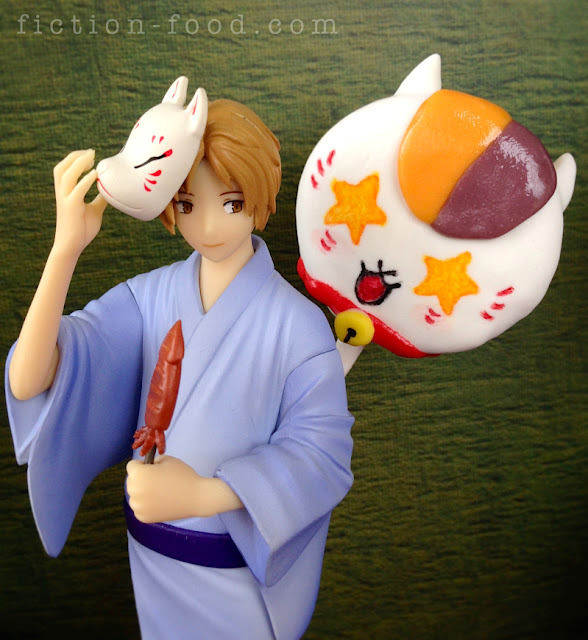 Natsume, the main character, was born with the ability to see yokai and interact with them. The story focuses on the impact this has had on his life, in both the human world and world of yokai, and how, through various positive and negative experiences, he matures and begins to reconcile the two, learning that they are sometimes not all that different. Perhaps reticent by nature and certainly taciturn for preservation, appearing aloof and slightly frail, Natsume proves time and again to be passionate, loyal, brave, and possess a deep well of strength both physically and emotionally. 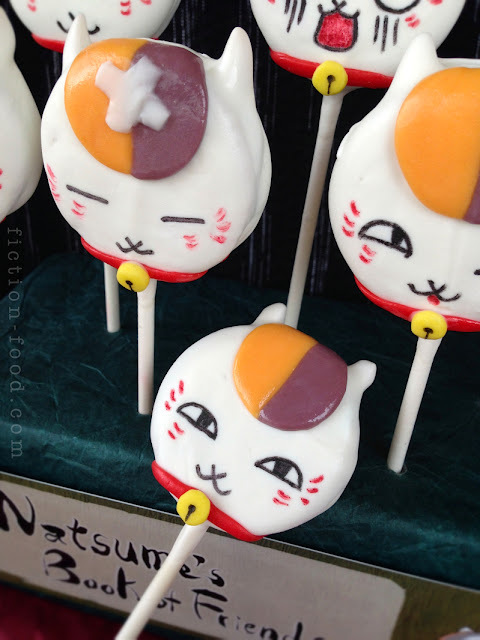 Nyanko-sensei, a large and powerful yokai who chooses to be seen in the form of a plump cat, similar to that of a maneki-neko (or luck cat figure), is always by Natsume's side (unless he's off drinking with his pals or pilfering sweets). He acts as Natsume's mentor and bodyguard, and, though he tries to act tough and deny any real attachment to the boy outside of practicality and personal gain, both the readers and Natsume know he's a softy at heart, willing to protect Natsume even in the face of danger to himself. The Natsume manga began in 2005 and is still going strong, with 19 volumes currently available from Hakusensha in Japan and 18 volumes from Viz in the US (you can read a free preview of vol. 1 from Viz here). There are also four seasons of a very close anime adaptation and a couple of short OVAs. In the US, the anime is available to watch on Hulu and Crunchyroll, and to buy in beautiful DVD/Blu-ray sets from NIS America. 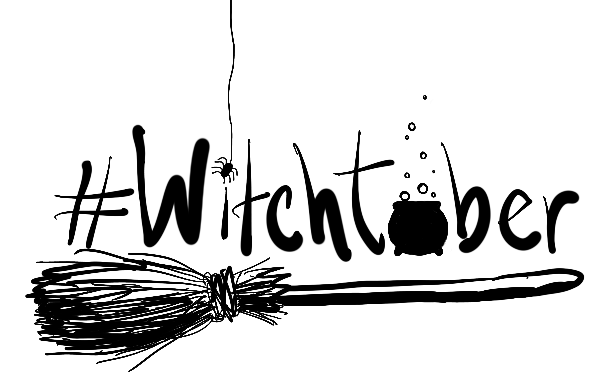 I hope you'll give it a go and let me know what you think! 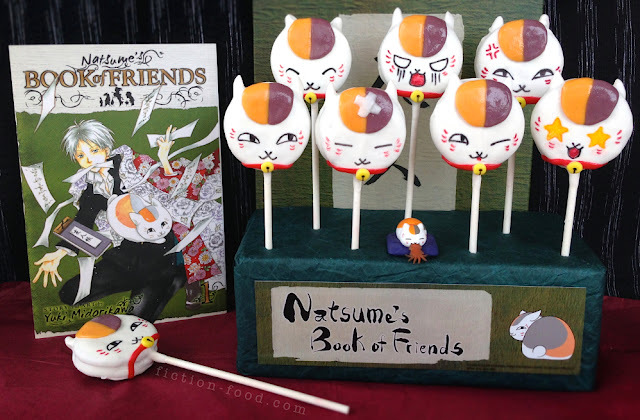 For another Natsume's Book of Friends-inspired treat try my EDIBLE Book of Friends! 1. In a heat proof bowl (preferably glass) over a pot of low simmering water, melt the white candy melts, stirring often. Add a little bit of E-Z Thin (optional) to make the melt have a nice dipping consistency (I cannot praise this stuff enough! I works really well). 2. Carefully open/separate the sandwich cookies & lay them out on a flat surface. Take a lollipop stick & dip 1 end/tip into the melt. Press that end into the cream side of 1 of the cookie pairs & then gently replace the non-cream cookie half on top. So now you have a closed sandwich cookie once again, but with the lollipop stick secured in the middle. Repeat this for all of the cookie pairs. 3. Pick out 16 slivered almond pieces that will look decent as cat ears. 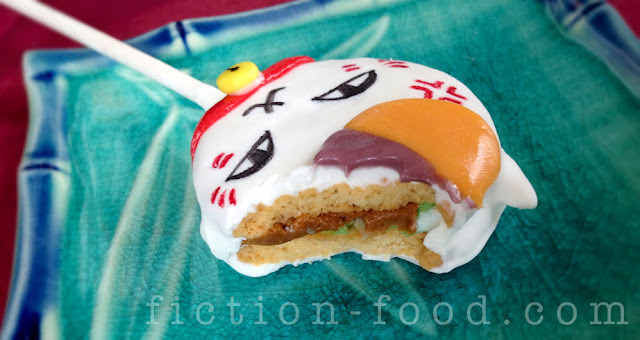 Choose 1 & dip 1 end of it into the candy melt & then secure it onto the top of a cookie pop, nestled in the cream to 1 side. Do this with another almond sliver to make the opposite ear on the cookie pop, making sure there is about 1/2" to 3/4" space in between. Repeat these steps until all of the cookie pops have almond "ears". 4. Tilt the melt bowl (careful! Use a pot holder 'cause it might be hot!) & dip a cookie pop into the melt, making sure to cover both cookie sides + the almonds. Let excess melt drip off, very gently tapping the lollipop stick on the edge of the bowl if needed, & then place the coated pop upright into the styrofoam to harden. Repeat with the remaining pops. 5. Flatten the orange & purple Frootie candies on a cutting board (lightly buttering your fingers can help combat any stickiness) & use the circle cutter to cut 2 circles from each candy, giving you 4 circles of each. Using a small sharp knife with a little bit of butter on it, cut each circle in half. Next, flatten the red Frootie & cut it into 8 thin strips. 6. Lay a piece of parchment paper on a flat work surface & place the hardened cookie pops on it, prettiest side facing up. Remembering that the orange goes on the left (your left), gently press the orange & purple Frootie pieces onto the "forehead" of each cookie pop & carefully smooth the tops back & between the ears (see the photos for reference). Next, take the red Frootie strips & press them 1 each around the bottoms of the cookie pops to become collars. 7. 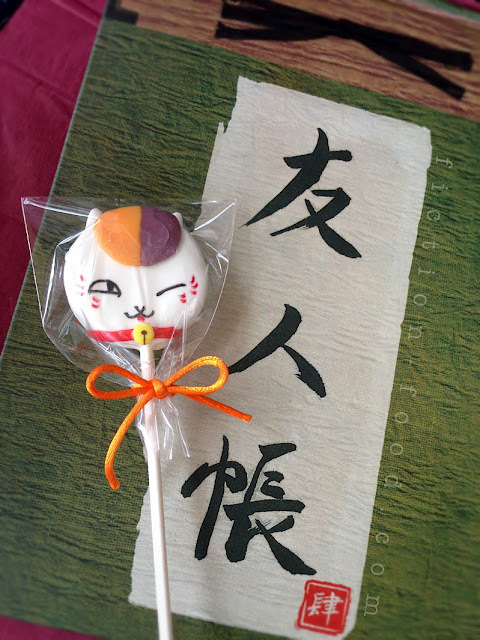 Use the black & red food color markers to draw Nyanko Sensei's face onto the cookie pops, changing up the expression if you'd like (just do an image search for "nyanko sensei", there is a plethora). If you need to fix any mistakes, use a clean cotton swab to very gently wipe away the part you want to change (adding a very tiny bit of water to the swab tip, & then squeezing it, can help too, but make sure you dry away the water with a clean swab end). 8. Affix 1 mini yellow M&M (or a little flattened ball of yellow Frootie) to each red collar with a tiny dot of candy melt, & then draw on the bell openings using the black food color marker. Place the completed cookie pops back into the styrofoam & you're all done! If you'd like to give them as gifts, carefully slide them into clear "Pop Favor Bags" from Wilton or something similar (try Michael's) & tie with an orange or purple ribbon. I love this anime! Im glad you made a cool recipe for it! Looking forward to making it. Yaay! it makes me happy when this anime gets love! It's so fantastic. Let me know how the pops go when you give 'em a shot! Things to try for the new season! Aaaaaahhh! I hadn't heard the announcement about the 5th season! Thank you for mentioning it! I just looked it up and I'm so excited! I've been waiting for it ;) This is totally my favorite manga and anime.